Obtaining Florida Workers Compensation Insurance Quotes Online is easy with Click & Save Insurance. Find the most affordable Florida Workers Compensation Insurance Quotes available, based on your unique business needs. Our team of business insurance professionals are here to assist you. Call us today at 1-813-643-7770 for all of your Florida Business Insurance needs, or click here. We specialize in providing Workers Compensation Insurance and all other Florida Business Insurance for companies looking to improve coverage and reduce costs. Our Workers Compensation Insurance representatives are here to assist you with all of your employee leasing and insurance questions 24/7. Backed by our network of Nationwide Underwriters, our Affordable Workers Compensation packages ensure the best coverage at the msot affordable rates available in your state. Our policies are custom tailored to your unique business needs. We also offer pay- as- you-go options and nationwide dedicated support. Employers in Florida with one or more employees are required to maintain workers compensation insurance unless the employer has been approved as a “self insurer”. 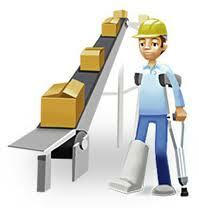 We specialize in helping Florida businesses find affordable workers compensation insurance. Protect yourself and your Florida small business with our Business Owner’s Policy (BOP) with General Liability Insurance, Workers’ Compensation Insurance, and Commercial Vehicle Insurance. Combining policies helps reduce the hassle of multiple companies, while reducing costs. Employee Leasing in Florida may be a great alternative for small businesses struggling to find affordable Florida Workers Comp Insurance. Click here to learn more about the benefits of Employee Leasing in Florida, or give us a call today at 1-813-643-7770. We provide Florida Workers Compensation Insurance, Payroll Services and Employee Leasing for all types of small business. Our professionals continually and consistently focus on your needs and initiate ideas that help your Florida based business achieve its objectives. Building value is the way we do business; one relationship at a time. Give us a call today at 1-813-643-7770 for all of your Florida Workers Compensation Insurance and Employee Leasing needs. Avoid paying unnecessary costs. Due to the large volume Click & Save places with carriers, we can negotiate the best coverage at the most affordable pricing available for your business profile and state. Have one of our knowledgable agents review your existing policies; this is a complimentary service with no obligation. Keep your business going with no delays. If you’re company is on the verge of losing workers’ compensation or any other coverage due to high claims and/or excessive premiums, our professional and knowledgable agents have access to policies that may get you the great coverage you need at very competitive cost. Our courteous staff make it easy for you right from the beginning. C&S will handle all paperwork and state research. You can stay focused on your company. There are no surprises or hidden costs in our prompt and accurate quotes. Our staff are some of the most experienced business insurance specialists available. Ensure that all of your Employment & Insurance needs are taken care of while operating your business. Let Click & Save do all the homework for you. We will provide the best and most affordable Business Insurance & Employee Leasing options in Florida for your unique business needs.